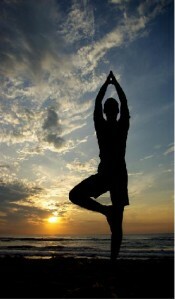 These days when someone says the word “yoga”, most people think of asanas (yoga postures). They think of classes that stretch the body, increase physical flexibility, help people to lose weight and get into overall better physical condition. But is there more to yoga than this “asana” thing? Are asanas the whole of yoga? In a word, no. Asanas are but one of eight limbs of yoga as laid out by the Indian sage Patanjali, author of “The Yoga Sutras”. So yes, they play a part in the yoga whole, but they are certainly not the whole. Recently in Western society, yoga has become increasingly popular, millions of people in western societies are taking yoga classes every week, and statistics show that there are millions more who have a desire to do yoga but have yet to step foot in a studio. But the more popular yoga becomes the more people are beginning to realize that what they may have been looking for from yoga, they are not getting from the majority of yoga classes. Sure, if your goal is increased flexibility, some weight loss and better physical condition, yeah, you may be getting what you are looking for from your asana class….but, if you are looking for practices that address the spirit, if you are looking to end personal suffering, if you are looking for ways to move toward Living Unbound, then chances are not very good that you are finding what you are looking for from your yoga asana class. The body and the mind are not two separate things. The body-mind is one thing. If the mind is polluted, so will the body be. The body is a reflection of the mind. So trying to perfect the shape of the body does very little if we are filling the mind with garbage. It is not reasonable to expect that if you can learn to control the body you will then automatically be able to control the mind…. and the mind is the source of all suffering. In life, things go from subtle to gross, not gross to subtle. The world is physically built of tiny atoms and molecules, so to expect that we will solve all our problems by working on that which the atoms make up, is not logical. We must work from the root of the problem upwards…. we must work on the atoms before we work on that which they create. To go the other way is a lost cause. Traditionally, asanas were done so that the body could be comfortable when sitting for pranayama (breathing exercises) and meditation which are two of the other eight limbs of yoga. The Sanskrit word “asana” even means “seat”. 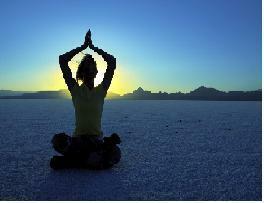 It has been well known for centuries that the core practice of “yoga” is meditation, not asanas. The reason for this is because the practice of meditation is what will liberate us from the suffering of this world…asanas alone will not. It is good to keep the body healthy and in good repair as it is the vessel through which the Divine in us is manifesting, but just keeping the body in good repair is not going to take us all the way to liberation, to enlightenment; to Living Unbound. To liberate ourselves from suffering we must work on the root of the problem, which is misidentification…… thinking (and believing the thought) that we are something that we are not. We are not our bodies. We are not our thoughts. We are not our beliefs, our ideas or our personalities. We are pure consciousness manifesting as form. Doing yoga postures alone as spiritual practice is not going to help to break the mind’s habit of misidentifying with an external “reality”. What yoga postures WILL do is help to create a more purified vessel making it easier to access the Divine within. They will help us to correct physical energy blockages creating open channels for the smooth flow of prana (life force) coursing through our nervous systems and they will allow us greater comfort in our physical lives. We are not our bodies (consciousness does not vanish upon the death of the physical body) but the human nervous system IS the vehicle used to access the divinity within all of us. So it is important to treat this body like the temple it is and to keep it in good repair. Without this body we would not have the opportunity to realize our selves as Divine. If we are inclined to include an asana practice in our daily yoga routine, all that is necessary is between 5 and 10 minutes of asana practice before we sit for pranayama and meditation. It is ok to extend that up to about 30 minutes if the bhakti (desire) is there, but much more than this and the focus tends to drift from sitting practices towards body manipulations and the balance will be off. There will be too much external focus happening and not enough going inward. 30 minutes of asana practice is about as much as any of us should do before sitting to do pranayama and meditation. Keeping this all in consideration, where do the asanas fit into a full yoga practice? How much asana practice is needed/necessary? Well, asanas are not necessary in order to come to a place in life where suffering no longer exists. Asanas are not needed in order to come to a place of living as unbound awareness. Only a meditation practice that cultivates inner silence is required for this. But, that said, if we are inclined to do asanas as part of our spiritual practices, how much asana is appropriate, where should they fit into our daily routine and what asanas should we be doing? Advanced Yoga Practices (AYP) has created a basic pre-pranayama/meditation asana routine which can serve as a good starting point, and which can also serve as a complete (though light) routine, prior to the start of our sitting practices. For details on this asana routine, as well as background information on each asana (posture) and its benefits, please click on the link below.